It’s no secret that the East is weak, but the gap in standard between the lower five seeds and the rest has some arguing for a rethink of the playoffs format entirely. Some say a 1-to-16 reseeding across Conference lines would be fairer on the Western teams who are set to tear each other apart, while Milwaukee, Toronto and Philly coast through the first round. One team out of Charlotte and Detroit, will finish the season at .500 or below and still snare a playoff berth in the conference. That’s a bad look, especially when the top eight out West are covered by just 10 games. The gap between first and eighth in the East is over twice that. Detroit are in prime position for the final spot, but they’ve done almost everything they could to screw it up in the last few weeks. They lost four straight before last night’s rescue job against a Grizzlies team with nothing to play for. They needed to turn around a 22-point deficit to mount their biggest comeback in 30 years. Blake Griffin, whose carried them all season, but his recent knee injury has really taken a toll. Andre Drummond and Ish Smith stepped up last night to drag them over the line, but from night to night they’re struggling as their star man clambers back to full fitness. They’ve failed to cover in any of those five games and just three wins in their last 10. That’s seen them slip from a likely sixth seed to jeopardising their playoff status altogether. The biggest of those losses was versus Charlotte at home on Sunday. It kept the Hornets alive in the hunt for the eighth seed. Now, if the Pistons lose to New York and Charlotte win, they’re out. It should be a formality though. 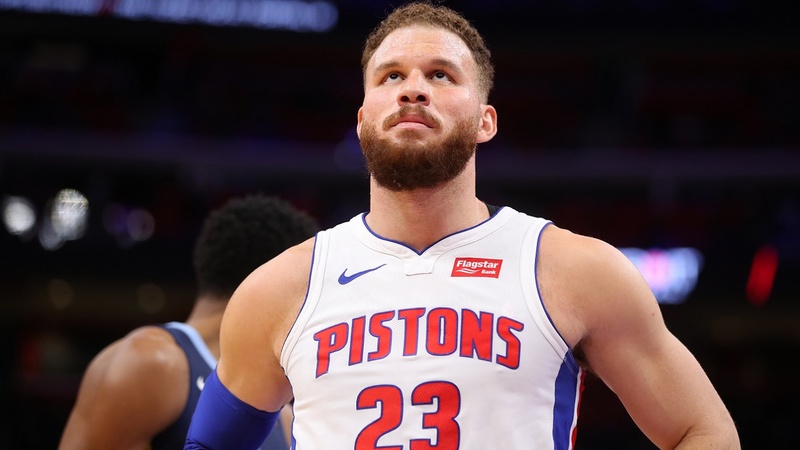 Detroit have drawn the Knicks on the final night of the season and there aren’t many easier opponents you could ask for in a win-and-in game. The Knicks are have endured a terrible season and could have to suffer through a tortuous offseason if their free agency plans fall flat. But they’ve nothing to play for here. Detroit have strong form playing on no rest and as an away favourite, but their recent run on the spread gives a reason for doubt. I’d rather look at the under on the total of 209.5 at 10/11 with the visitors having failed in four of their last six to meet expectations and New York not a scoring powerhouse by any measure. Miami were in action against the Sixers last night. They still had playoff hopes and played like it, winning by 23 points. Unfortunately, other results did not their way so they’ve now been eliminated ahead of tonight’s trip to Brooklyn. They did get to send off Dwyane Wade from South Beach in style. The retiring former league champ dropped 30 points and was showered in praise and plaudits – even former President Barack Obama saluted his career achievements as the 37-year-old bade farewell to Heat fans. He’ll play his final game at the Barclays Center tonight and can still have an impact on Brooklyn’s playoff hopes. They’ve already got their postseason spot sorted, but could still drop to seventh from the sixth spot if they lose and Orlando win tonight. They’ll likely play Philly, but it that’ll only be confirmed with tonight’s results, and the Raptors are still watching them closely. Of the bottom three seeds in the East, they look the most likely to cause a problem for a challenger. D’Angelo Russell is capable of putting together performances on the right night that’ll beat any team. With every reason to go for the win, Brooklyn are tempting as favourites on the handicap, but it makes more sense to look at the total here. Miami played last night, those exertions, added to the recent record of both teams on the over suggests that this game should top the line at 10/11. The crucial point at this stage of the season is to find games with something at stake. The Clippers and Jazz are secure in the playoffs spots in the West, but there’s seeding still up for grabs for the Los Angeleans. Doc Rivers’ team can avoid the eighth spot if they win tonight and the Spurs lose to Dallas. Their hopes are helped by the Jazz playing last night against the Nuggets. If the Clippers can pull it off, they’ll face Denver in the first round, a much easier match-up than the top-seed Warriors. Helpfully, both Danilo Gallinari and Patrick Beverley are upgraded to probable for this crucial game. They’ve struggled in the closing week of the season losing three straight and four of their last six games. That would’ve been encouraging for the Jazz in their pursuit of the Trail Blazers in fourth, but Portland won last night against the Lakers and that means Utah have run out of games to catch the Oregon side. Those two will now face off in the first round, with Quin Snyder’s team having to play four of the possible seven games away from Salt Lake City if the series goes the distance. That could be a significant edge in what should be, Portland’s tendency for playoff chokes notwithstanding, a closely fought sequence. Utah have won seven of eight and 12 of 14, but they don’t have the carrot of climbing the standings after last night. Injuries and rest are a big factor here too, and with the Clippers searching for a win, you’d have to fancy them to cover the handicap in this at 10/11.